When you look at an area for a scuba diving holiday or arrive near the beach where you plan to dive take a scuba diving lesson, the pull towards the ocean and the need to get under the waves as quickly as possible can be overwhelming! Whether you are a seasoned scuba diver or a scuba diving novice, you may not be sure how to choose a good dive center? Therefore it’s important to find out how to judge the quality of a dive center or dive school in Thailand. Thousands of holidaymakers and expats travel to Thailand to enjoy scuba diving trips and snorkeling. There are plenty of scuba diving courses available and scuba day trips to experience, especially off the coast of Phuket, Krabi, and Pattaya. The Land of Smiles is one of the top places in the world to try scuba diving, join a guided dive trip or go snorkeling, all of which, are available for professionals and advanced levels as well as amateurs including complete beginners. 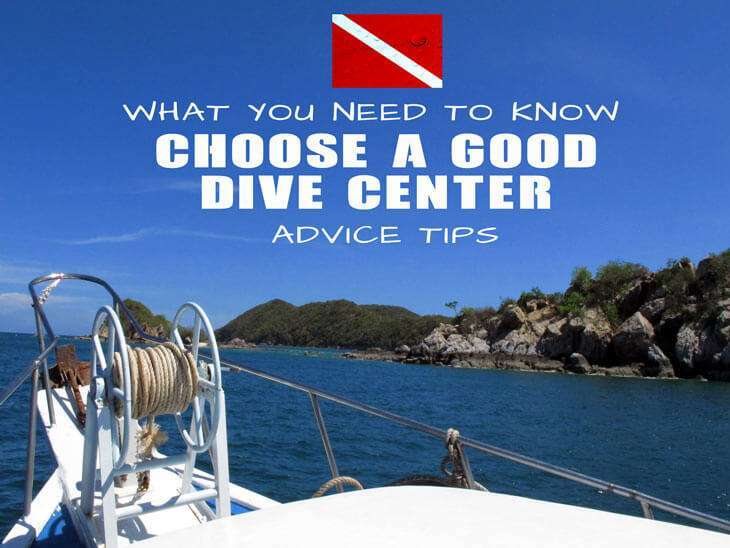 Here Are a Few Need To Know Advice Tips When You Choose a Good Dive Center . Choose a good dive center or Thai dive school on experience, quality, and professionalism, not only on the price. Scuba diver facilities cost a lot of money to maintain to high standards. If the dive center you choose opts to be the cheapest in price perhaps they also opt for the cheapest in equipment and boats? A little more money spent usually mean you can expect a better quality of equipment and service in reward. The longer the dive center has been in business the more reviews and reputation comments you will find available. Don’t just follow trip advisors words, its not the ultimate and only resource on the internet you know!? Check Facebook Reviews, Google Reviews, Youtube & Twitter. Word of mouth is a powerful tool and if a dive center is taking care of its customers you will see this across all platforms of the web. Don’t get stuck on the odd bad review. Everyone has off days but if many people report good work from different sources, that diving center is doing something right. 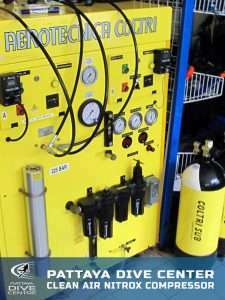 CHECK OUT A DIVE CENTERS AIR SUPPLY, SCUBA CYLINDERS/TANKS, AND COMPRESSOR FACILITIES. Look around or ask about a dive center if they have their own air station? does the room look clean and well maintained? Do they have a safe air certificate? Some compressor rooms look like old oily car garages and some look like clinical laboratories! Safe air certificates show that a dive center properly maintains its compressors and tests its air supplies regularly. These certificates are not a required standard practice by law in Asia, but a dive center that obtains one is clearly proactive towards avoiding contaminated air and striving for international standards of quality. How do the tanks look? Are they completely crusty with salt residue, can you see any signs of rush around the value? Do they look 2 decades old? Scuba cylinders don’t need replacing regularly if looked after and maintained. Their general appearance outside can sometimes give away a clue to the state inside. Looks for a visual inspection sticker which shows the dive center is keeping up on the care inside the cylinder. All tanks are safety tested yearly for visuals and every few years for hydro pressure tests. A dive center that has its own air station facilities tend to be proud of them and display its hardware with pride. If it’s hidden, or not on display, ask yourself why? Make sure the dive school has the relevant registration and safety certificates, for instance, certified PADI 5star Dive Center or higher, Current PADI instructor or PADI divemaster professional ratings. Sometimes you dont get to see how a dive center approaches safety until you take a day out with them. If you not convinced and assured of a dive centers ability to uphold, follow and most importantly reinforce diver safety practices then I would suggest continuing looking around. Sometimes I single day trip to see a dive center in action is a good way to gauge if what a dive center proclaims to offer is true or not. You can always ask about safety training and equipment available such as CPR first aid trained staff, emergency oxygen, and emergency communication available? Check to see if there is also a certified CPR/ first aid provider certificate. If you are going out on a scuba diving boat trip, are there plenty of throw rings and life vests on board? Does this safety equipment look at reasonable quality also? 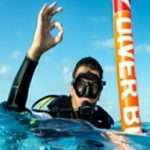 Does your dive center offer insurance? It is a divers responsibility to like any traveler to ensure they are covered in the events of an accident. Specialized dive insurance is not as standard, included with any dive trip, a good center however may offer the option for specialized scuba diving insurance. Your travel insurance often gives you a separate option or simply does not cover this. Special scuba diving travel insurance is inexpensive and offers way more coverage vs standard travel insurance. It is well worth spending a few extra $ to be safe and relax knowing you’re totally covered. You generally get what you pay for when it comes to dive centers. If you do intend to try scuba diving in Thailand, shop around and remember, cheapest is not always the best option. 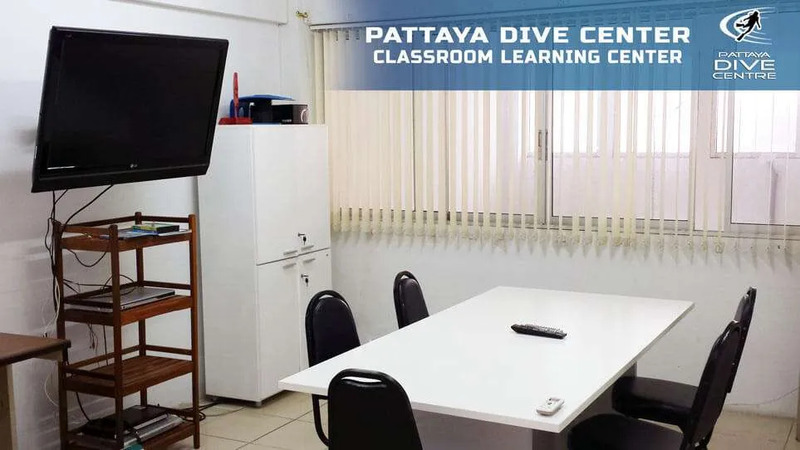 If you are considering a Thailand Dive Trip or scuba diving holiday, and you’re looking for quality, consider Pattaya Dive Center when you choose a good dive center.